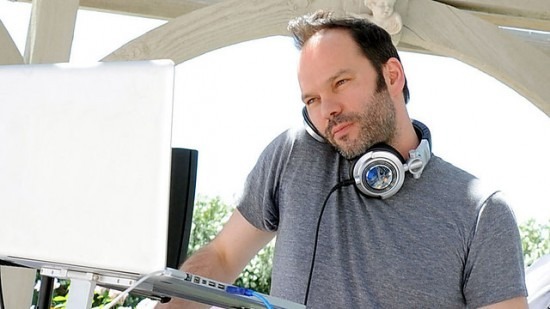 In a series of connected tweets yeterday, Nigel Godrich, Radiohead's longtime recording engineer and member of Ultraísta, let loose on Spotify's streaming platform and the small musicians that its business model effects. Among the thoughts, Godrich pointed out that both Atoms For Peace and Amok, Thom Yorke's solo album, had been removed from streaming on Spotify. Though he also noted that Ultraísta's debut album (through Temporary Residence) was no longer available, as of this post, you can still stream it. Adding to the fight, Thom Yorke and Kieran Hebden of Four Tet agreed that the system is screwy, only benefiting the higher-ups in the industry. You can read the tweets in order below, then catch Spotify's placating response to the criticism at the bottom. ..then the art will suffer. Make no mistake. These are all the same old industry bods trying to get a stranglehold on the delivery system.. I think the point is – that streaming suits catalogue.. But cannot work as a way of supporting new artists work.. Spotify and the like ..
..either have to address that fact and change the model for new releases or else all new music producers should be bold and vote with..
..their feet. They have no power without new music..
“Spotify’s goal is to grow a service which people love, ultimately want to pay for, and which will provide the financial support to the music industry necessary to invest in new talent and music. We want to help artists connect with their fans, find new audiences, grow their fan base and make a living from the music we all love. Right now we’re still in the early stages of a long-term project that’s already having a hugely positive effect on artists and new music. We’ve already paid US$500m to rightsholders so far and by the end of 2013 this number will reach US$1bn. Much of this money is being invested in nurturing new talent and producing great new music.